Beauty is in the eye of the beholder, but it’s also all about proportions (hello Golden Ratio). If your front teeth are even slightly different lengths, you may find yourself hiding your smile or just wishing it looked a little better. Your dentist in Bonita Springs can help with options in cosmetic dentistry! Cosmetic treatment plans focus on what we call the social six, or the teeth that show when you smile and speak. It’s not uncommon for the two very front teeth to be much longer than those that surround it, and the canines may also be too pointy or long. Whatever is throwing off the pleasing proportion of your front teeth, porcelain veneers or cosmetic bonding can help. Dental veneers can correct any number of cosmetic imperfections all at once. They are thin coverings made out of dental porcelain, a material that looks just like your natural tooth enamel (but better). Porcelain veneers in Bonita Springs can cover up chipped teeth, stains, discoloration, and, yes, uneven teeth. To place veneers, your dentist removes a small amount of tooth enamel from the surface of each tooth. This preparation ensures there is enough room for the new layer of porcelain to go on top. After impressions and photos have been captured, the veneers are crafted in a separate lab. You return to our office for a follow-up visit, when your dentist will bond each veneer securely onto the front surface of the teeth. If you are interested in a less invasive, more economical alternative to porcelain veneers, you’ll find the answer you’re hoping for in cosmetic bonding. With this method, your dentist uses biocompatible composite resin to add structure to stubby or short teeth. Cosmetic bonding is pain-free and keeps your natural tooth enamel intact. The treatment is completed without the need for any anesthesia in a single visit to your dentist’s office. Because the composite resin used in bonding is porous, it will absorb stains more readily than porcelain veneers. Avoid tobacco, drink dark beverages through a straw, and visit your dentist regularly for cleanings if you choose this option. 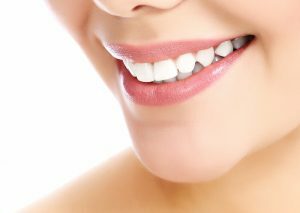 You may want to undergo a teeth whitening treatment before beginning so we can match your bonding to a dazzling smile. If you are interested in learning how your cosmetic dentist in Bonita Springs can improve the appearance of your smile with veneers, bonding, and/or teeth whitening, we can’t wait to discuss your options! Please don’t hesitate to request an appointment today.